Israeli forces, on Wednesday, closed the entrances to the village of Umm Safa, to the west of Ramallah city, according to local sources. Marwan Sabbah, head of the village council, told WAFA that the soldiers closed the western and the eastern entrances of the village, banning entry and exit of residents to and out of the village. No clear reason was given for the closure. This closure was enforced for several hours after Israeli military vehicles raided the village, where soldiers detained and interrogated a man before releasing him shortly afterwards. 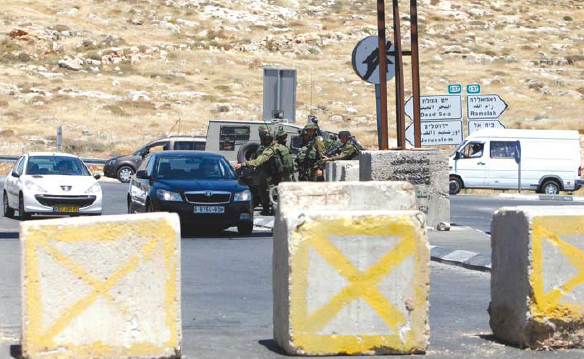 Israel severely restricts Palestinian freedom of movement through a complex combination of approximately 100 fixed checkpoints, flying checkpoints, settler-only roads and various other physical obstructions for purported “security reasons”, an act widely condemned by human rights groups as amounting to collective punishment.